MIDDLETOWN, NJ– T&M Associates, a leading national consulting, environmental, engineering and construction management company, is pleased to announce the addition of two key players to the Water Resources practice. T&M’s expanding project portfolio and growing team of experts has allowed T&M to provide solutions for the full cycle of water, encompassing expertise in wastewater, drinking water, stormwater, infrastructure and green infrastructure. 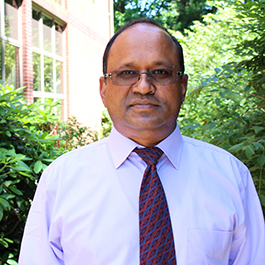 Mohammed Ali joins T&M as Senior Technical Lead of Wastewater in the Water Resources practice. He brings significant experience in water infrastructure projects with a focus on advanced wastewater treatment facilities planning, design and construction. His wastewater technical expertise covers process engineering and plant retrofits; water/wastewater equipment, process and technology evaluations; pilot-scale treatability studies and full-scale plant performance evaluation; and preparation of O&M strategies. With over 20 years of experience, Ali has performed in technical and peer review roles for New York City’s large-scale water and wastewater programs including the City-Wide Nitrogen Control Program and the Chlorine Residual Management Program; Jamaica Bay Comprehensive Water Quality Planning and implementation of full-scale nitrogen removal upgrades at four Upper East River and one Jamaica Bay plants. He has directed multi-disciplinary teams including in-house engineers and subcontractors, and has overseen design coordination, regulatory compliance and quality control, budgeting, cost control, construction phase engineering services, and project monitoring and risk reviews. Prior to joining T&M, Ali worked at a top ranked global engineering firm and was responsible for delivery of design and construction services for projects with construction costs up to $400 million. A licensed Professional Engineer (PE) in New Jersey and New York, Ali received a Bachelor of Science in Civil (Water & Structural) Engineering from Bangladesh University of Engineering and Technology and a Master of Science in Civil (Water & Wastewater) Engineering from the City College of the City University of New York. 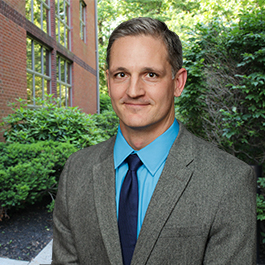 Brian Lee joins T&M as a Water Resources Project Manager. Lee has over 15 years’ experience in the management of utility infrastructure projects. His projects have included water and wastewater treatment plant processes, power generation plants, oil refinery upgrades, aquifer storage and recovery wells, water storage reservoirs, and conveyance projects including trenchless piping technologies. He has been responsible for all phases of project development and delivery from conceptual design through commissioning and turnover. He will lead water-related operations out of T&M’s Mount Laurel office. Lee earned his Bachelor of Science in Environmental Engineering from Rutgers University. He is a licensed Professional Engineer (PE) in New Jersey, Pennsylvania and California and is also a Certified Construction Manager (CCM). T&M Associates is a consulting and technical services company committed to dependable, results-driven service that spans industries and communities nationwide. T&M is consistently recognized by national and local trade organizations for project excellence, including ranking in the top half of Engineering News Record’s list of the Top 500 Design Firms and in the top 150 on their list of Top Environmental Firms in the US. The firm’s tagline, “Your Goals. Our Mission,” encapsulates its commitment to develop effective, creative and timely strategies and solutions to achieve its public and private clients’ business objectives. T&M employs a team of 350 business and technical professionals and operates from 19 office locations throughout California, Indiana, Kentucky, Massachusetts, Michigan, New Jersey, Pennsylvania and Ohio.